I am not usually classified as a jealous man. Well...if truth be told, I am slightly envious of the West Coast BC chapters with their unquestionably scenic mountains. Having once resided there in a time when testosterone was both legal, and NOT politically incorrect, I know of which I speak. There is now another contender for my 2-wheeled yearning: Europe. I have visited different parts of Europe in years past, but have never had the opportunity to actually ride motorcycles during my visits. Something I desperately hope to address while I still retain the capacity to balance on two wheels. To that end, I will begin preparations to address a portion of that particular itch, by planning a cross country ride to British Columbia. To give credence to that goal, and to augment my incentive to actually make it happen, I plan on attending the 2017 CMC National Rally, scheduled to take place in the Coombs/Nanaimo area on Vancouver Island. I have convinced myself that it is actually preparation for riding throughout Europe. Below is one reason why, instead of going to bed at a reasonably decent hour, I am staying up in the wee hours of the night researching (ok...binging) on YouTube videos made by European motorcyclists, who seem to have more leisure time (and by the looks of their bikes), apparently more liquid assets than I currently have. I now have just over a year to plan, save, and acquire a larger, more comfortable long distance touring bike, to venture out west. Who is up for some transcontinental 2-wheelin'? Just do it! You will love the ride across Canada; I have done it many times, but in a car. Our country is vast and beautiful. I have not been to our Territories but I will get there some day. We are so very fortunate to be able to call Canada home. You will have a great time at the 2017 Rally and you will meet so many more of our members. Does it get any better? Wow! You will be realizing your dream and I will be returning to Tanzania to attempt Kili again! Every province has it's unique character. You will love the Rockies, the prairies, the foothills. Just ridding through northern Ontario in breathtaking. You will have an amazing ride. It will be great practise for Europe. If I can survive living in N.B. In the winter, and summit Kilimanjaro, and you know I am going back to climb next year; this will be your adventure! I wish more Canadians would visit our own country; all of it. It is stunningly beautiful, from coast to coast. Some day you must ride down here and also get to the Cabot Trail and NFLD. Dreaming is free my friend, but I know, dreams can come true! As much as I would love to attempt this; it is beyond my ability. I will also be training hard to be ready for my climb. I will, however, be thinking of you. I will definitely be anxious to see your pictures and hear your thoughts once you get back. Always great to read your stories; your writing is so eloquent. So find yourself a bigger touring bike and I will keep reading your updates. I have travelled extensively in western Europe over the past few years and loved every minute of it unfortunately (or maybe fortunately) heart problems in 2013 kind of tied my roaming legs (I am a high stress flyer and stress and heart problems are not compatible companions especially when you're in the air for 8 hours or more) so I decided to try motorcycling in Canada. My first objective in 2014 was a grand trip out east (Cape Breton beckoned) but that plan fell through temporarily. One of the views on my desktop is of the Stelvio Pass in northern Italy, and I dream of that almost daily. Anyway back to reality (Italy is an 8 hour flight) as far as Western Canada in 2017 is concerned I would be delighted if you would allow me to join you. I am retired and time for me is not a problem the only question is whether you could suffer an incorrigible Englishman for any length of time. Anyway it appears that one entry on your bucket list corresponds with one on mine so please let me know if you're ok with this. You are correct!. Thanks for pointing that out. I have corrected that oversight which was way overdue. And yes, arranging to meet halfway would be great! Les...sorry for the delay in replying, but it would be fantastic to have you along. I have already been in contact with one or two others interested in that upcoming journey. I am sure something could be coordinated as we get closer the time. How is the search for a more comfortable long distance touring bike, coming along? Like you, I ride a GSX650F (plus I have a 1500 Cruiser), but someday I would like to acquire a larger Sport Touring bike. My friend in California has three bikes, including a BMW R1200R, which he feels is the most comfortable sport touring bike on the market. But it's a smaller bike and maybe not enough leg room for a person of your stature. I've been looking at the "adventure" style of bikes, but the models that are really "sport touring" bikes, like the Ducati Multistrada 1200, Kawasaki Versys 1000 and Honda VFR1200X. These three bikes are tall, very comfortable riding positions, plenty of storage capacity, great for long distance straight riding and more importantly, very sporty performance when you want to be more aggressive, when the roads offer twists and turns. And at the risk of losing my man card, the Honda VFR1200X which has DCT (Dual Clutch Transmission....a fancy way to say "automatic" transmission) was a ton of fun to ride. Keep us posted, because I'm curious to hear what Sport Touring bike you select. I joined CMC 092 Haliburton yesterday after bumping into a motorcycle enthusiast on facebook. I was initially looking to find some girls to ride with locally, but she told me about Coombs and other awesome trips she has gone on in years past. 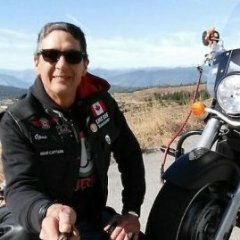 I'm a new rider, coming up on two years in July, and am planning a trip to PEI, New Brunswick, Nova Scotia including the Cabot Trail during the last two weeks of August this year. I have been there nine times before camping but never on a bike, so this is a first. Looking to make it a bigger trip with more participants! I'm hooked on riding; wish I had learned 25 years ago but now I live to ride and travel. I've always been big on travelling so this is an amazing fit for me. I'm riding a 900 Kawasaki Cruiser, not bad for a pipsqueek! I look forward to reading your blog and connecting with other riders. Chow for now as I look at six feet of snow encrusted with a couple of inches of icy crust from the storm last evening. Ah but spring, and riding, is just six weeks away! The research continues. I too have looked at Adventure style bikes; one being the BMW R1200RS. 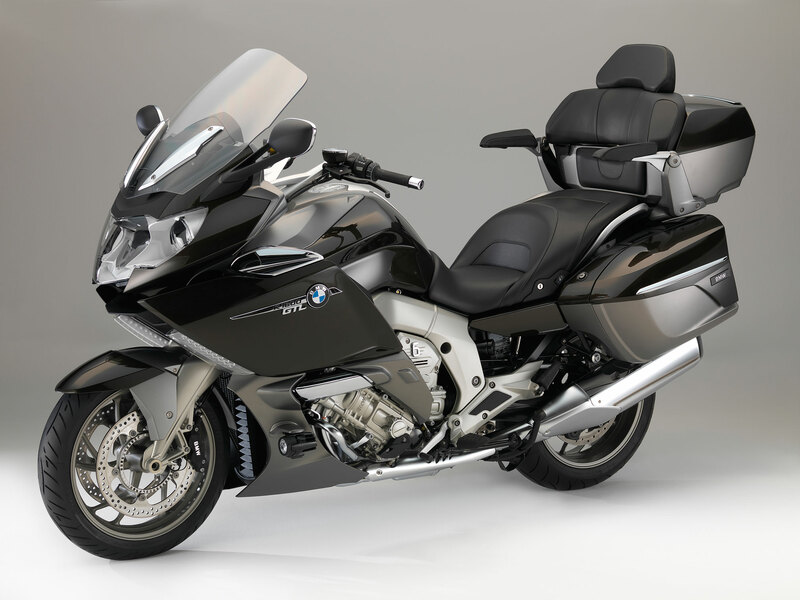 But BMW's recent announcement detailing their upcoming 6 cylinder K1600B Cruiser, has (somewhat) turned my eye from their K1600 GTL Exclusive. I will have to see what transpires as times unfolds. There are lots of other options I am yet to consider. Hi Lois... and welcome to the CMC! Another good friend of mine in the Collingwood Chapter also has a Kawasaki 900. She loves it. Although she is 5ft and a couple inches tall, I am not brave enough to call her a pipsqueek. Probably something to do with the fact that she holds a Black Belt Dan in Shito-Ryo Itosu-Kai Karate . Her husband used to be my Sensei. I too started riding fairly late in life myself; in my mid-forties. This year will be my 9th year riding, as well as being a member of CMC. Some years before I started riding, I remember driving from Toronto to the Cabot Trail in order to experience driving on it. Unfortunately, by the time I got there it was socked in with fog and rain for 3 days straight. I definitely intend to make up for that and ride the Trail...rain or shine next time. For the time being, my hope is to get a larger ride to go out west for this year's CMC rally in Coombs on Vancouver Island. Another option is to fly out west, buy a bike and ride it back. It will all depend on how much time away I can accommodate. As the time gets closer to the rally I will endeavour to post updates on my blog. Maybe I will see you out west in July!. Lots of us going West this summer Stafford, hope to see you there. I saw a bike out today in Muskoka!! Riding season is just around the corner folks. Yippee!